Former Union Law Minister, P.Shiv Shankar passed away in Hyderabad this morning, after a prolonged illness, say reports. He was 89 years old. 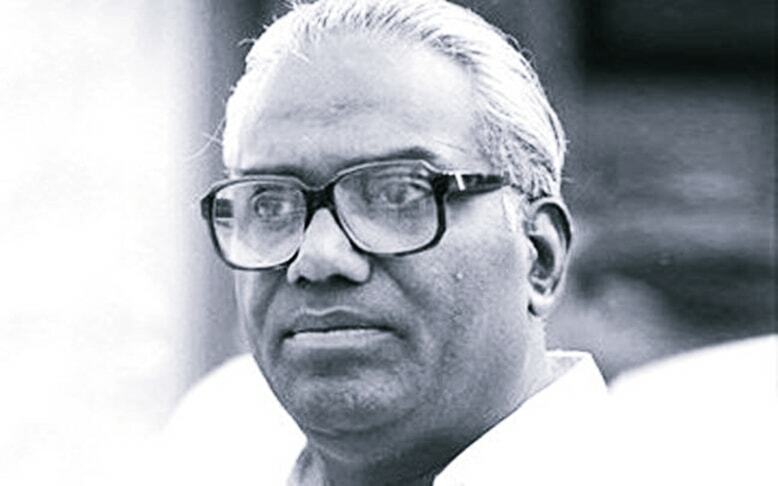 Although Shiv Shankar had held several positions in the Government, it was his stint as the Union Law Minister in Indira Gandhi Cabinet, after her return to power in 1980, which was the turning point in India’s judiciary. As Union Law Minister, Shiv Shankar was responsible for the issue of circulars, attempting to transfer Judges. On March 18, 1981, Shiv Shankar, as the Law Minister, addressed a circular to the governors and chief ministers of all States requesting them to elicit from additional judges their agreement to be transferred to any high court. The reasons mentioned in the circular were that such a policy of transfer would help national integration, combat narrow and parochial tendencies like caste, kinship, and other local considerations. But the circular was largely seen as an expression of no-confidence in the judiciary and a device to punish the inconvenient judges. “This threw kerosene on existing flames when it became public knowledge in mid-April (1981) that the circular asked the recipients to obtain from the additional judges in the state’s high court ‘their consent to be appointed permanent judges in any other high court (they might indicate three courts in order of preference) and to obtain from potential judges ‘their consent to be appointed to any other high court in the country.’ The written consents and preferences were to be sent to Shiv Shankar within two weeks. In the Lok Sabha, Shiv Shankar asked if the independence of the Judiciary meant “touch-me-not”. He seemed to confirm that he sent the circular without consulting the then Chief Justice of India, Y.V.Chandrachud. What happened thereafter is history. On December 30, 1981, the Supreme Court’s seven Judge bench gave its decision in S.P.Gupta vs Union of India, in which the Court held that Shiv Shankar’s circular was not unconstitutional, because it had no legal force in the first place. In his book, Austin refers to different perceptions of Shiv Shankar during this period. One school of thought believed that he intended to reduce judicial independence, and he carefully avoided recommending for appointment judges unfriendly to Mrs.Gandhi, the then Prime Minister. Another body of opinion, Austin notes, held that his circular was not intended to intimidate judges into ruling in favour of the government. Shiv Shankar was not averse to ‘shaking up’ judges partly to caution them when considering the government’s interest, but his principal motivation seems to have lain in class and caste consciousness. As Austin puts it: “To him, judges were intellectuals or Brahmins, or from the newly strong economic castes and classes- the upper reaches of the Other Backward Classes – whose monopoly had to be broken’ so that lower-ranking members of the OBCs and Scheduled Castes and Tribes could ‘thrive’ as advocates and find their way to the bench”. Austin adds that Shiv Shankar believed that Chief Justices of high courts showed caste preferences in selecting colleagues and in deciding cases, and transfers might ameliorate this because outside judges would have no local roots. Shiv Shankar was a Judge in Andhra Pradesh High Court between 1974-1975, before he plunged into politics. His intemperate remark, made in the course of a speech he delivered in 1987, that the “Supreme Court is a haven for anti-social elements, FERA violators, bride-burners and a whole horde of reactionaries”, landed him in a contempt case, filed by senior advocate, P.N.Duda. But the Supreme Court acquitted him in that case. Shiv Shankar’s passing away, at a time when the transfers of and appointment of Judges in the High Courts, continue to a major issue between the Centre and the Supreme Court’s Collegium, is a sad reminder of how the struggle for primacy between the Executive and the Judiciary began in the 1980s, and continues to date.